At this time – Offline/Past editions of web Browsers may require updating before use; The online KitCAD i3 KGC r5 and KitCAD i3 KGC r50 versions require a HTML5 drag and drop web Browser interface for the toolbar and dialogs. Tested on Xp Ie8 (using HTML4.1) and Win7 Ie12 (using HTML5Web browsers and others which support HTML5. 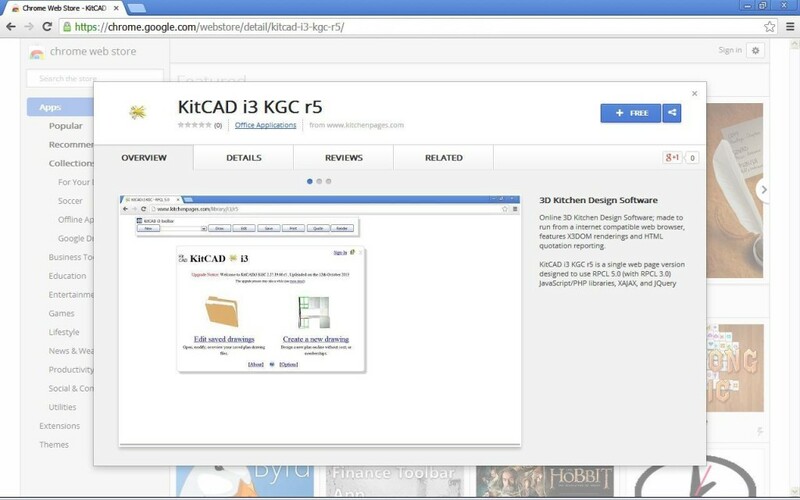 This entry was posted on Wednesday, October 23rd, 2013 at 7:35 am	and is filed under KitCAD, KitCAD i3. You can follow any responses to this entry through the RSS 2.0 feed. You can leave a response, or trackback from your own site. Added Twitter Cards support to Kitchen Pages, and online versions of KitCAD i3 KGC r5, and KitCAD i3 KGC r50. The Twitter Cards support is an optional metatag for Advanced administrators or web developers; And it has not been included within downloads – Advanced administrators should alter existing meta tags to suit their domain, and the insert the optional Twitter Card values at the same time if required. 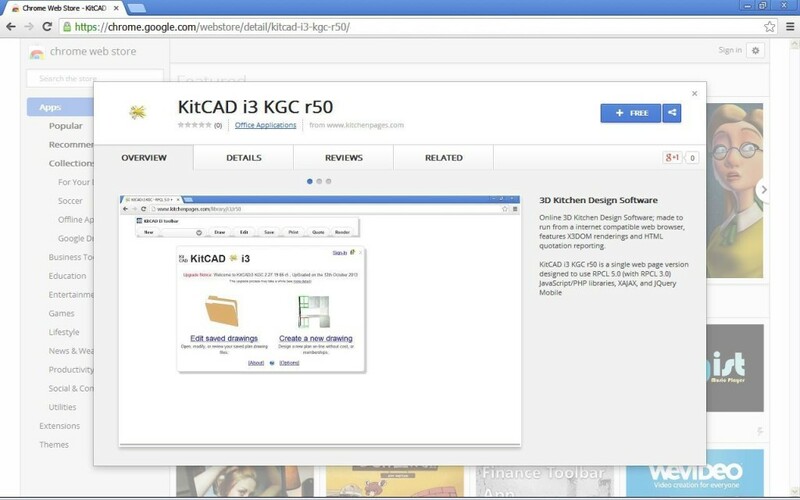 KitCAD i3 KGC r5 and KitCAD i3 KGC r50 are now available from Chrome Web Store for users viewing with the Google Chrome Web Browser. This upgrade will allow KitCAD i3 KGC r3, KitCAD i3 KGC r5, and KitCAD i3 KGC r50 to use RPCL 5.0 without RPCL 3.0 being installed. Another upload of KGC_RPCL_3-5_XAMPP_Setup.exe (win32) must already be installed for this Upgrade to work correctly. This release of KitCAD i3 KGC r5 for XAMPP (localhost is enabled/any IP is partly disabled) requires that KitCAD i3 KGC r3 be installed; See KitCAD i3 KGC r3 download instructions for more information. [DOWNLOAD LINK ][Instructions] This Inno Setup (v5) is for systems that have a version of XAMPP installed on the system at C:\XAMPP\ and will install all files for KitCAD i3 KGC r3 and KitCAD i3 KGC r5/r50 (localhost) with RPCL 5.0 support. This KGC_RPCL_5-0_XAMPP_Upgrade* requires that KGC_RPCL_3-5_XAMPP* be installed beforehand. The KGC_RPCL_5-0_XAMPP_Upgrade* Zip/7z Archives allow advanced system administrators to manually update without using setup program; Because there are no CGI files to be configured the upgrade can also be used for other like linux apache webservers. This KGC_RPCL_5-0_XAMPP_Upgrade* download requires that KGC_RPCL_3-5_XAMPP* be installed beforehand : [Zip 2.1Meg][7z 1.2Meg]. Another upload of KGC_RPCL_5-0_XAMPP_Installer_Setup.exe (below) allows users to install their own local web server, and KitCAD i3 KGC, r3, r5, and r50 from a single install program. By default the install program will only download KitCAD i3 KGC Upgrades; New users will have to select the custom setup option and enable the xampp-win32-1.8.2-5-VC9-installer.exe package so it is downloaded and installed. *vcredist_x86.exe 5Meg – 32bit version (SP1 v9), only download/install if PHP in XAMPP does not work, and no other version of Visual C++ 2008 exists on the system. No KitCAD i3 KGC r5 / r50 installer exists for other systems at this time; Users on other systems must manually download files and run setups as required, see above for more information. The online Kitchen Pages .com/.net X3dom files have been updated to the latest release (1.5.1); See update notice for more information (or rendering shows Part-of-a-Black/White-image). NOTE: There are NO JQuery file updates to KitCAD i3 KGC r50; No update will be performed – Maybe at a later date another version named r51 could be used to increment the JQuery version higher. Testing r50 with version JQuery 1.11.0 has failed due to as yet unknown Syntax error within the JQuery 1.11.0 min file. XAMPP 1.8.3 OpenSSL Heartbleed bug notice. All XAMPP users wishing to check the installed version of XAMPP can use the steps provided in the Heartbleed bug ApacheFriends guide above. The bug does not exist for XAMPP versions which were downloaded and setup by KitCAD software installers. A new version of XAMPP 1.8.2-5 (with PHP5.4 using VC2008) has also been released and MAY be available from the KitCAD software installers at a later date (pending review – current version is XAMPP 1.8.2-3 or lower). The updated version of XAMPP provides no added function for this release of KitCAD software. Updated online version of r5/r50 _Index5150print.css to remove toolbar from Print preview/output view – See update notice for more information or manually download changed file (No upgrade is planned to the r5/r50 for XAMPP versions at this time). Updated online version of r5/r50 _Index5150.css to adapt depending on view size – See update notice for more information or manually download changed file (No upgrade is planned to the r5/r50 for XAMPP versions at this time). Updated online version of r5/r50 _Index5150API1.js for Firefox and Internet Explorer web Browsers to relocate toolbar, prompt, and editor – See update notice for more information or manually download changed file (No upgrade is planned to the r5/r50 for XAMPP versions at this time – see rest of post for pending bug fix). Updated online version of r5/r50 r5en.js for Internet Explorer web Browsers showing dialog message of event.type is null – Delete the text of alert(e); from file or manually download changed file (No upgrade is planned to the r5/r50 for XAMPP versions at this time). A bug in function imgScroller (AKGraphicControl->position:absolute[css] should be AKGraphicControl->position:relative[css] or no value) can cause Internet Explorer users to draw Objects in the wrong position when Move button has been selected while waiting for Object to download – as a work-around allow drawing and updates to occur before moving Objects. Editing the Object (entering top 0, left 0) and selecting the Apply button will correct the position/display for next Move on Object. After further testing the bug fix for this issue will be applied in the _Index5150API1.js file. Updated online version of r5/r50 from jquery 1.10.2-1.11.0 to jquery 1.10.2-1.11.1; The r50 version will not be updated from its first release look and feel at this time – using jquery mobile 1.3.2. Updated online version of r5/r50 _Index5150.css to adapt depending on view size – See update notice for more information or manually download changed file. No upgrade is planned to the r5/r50 for XAMPP versions at this time. 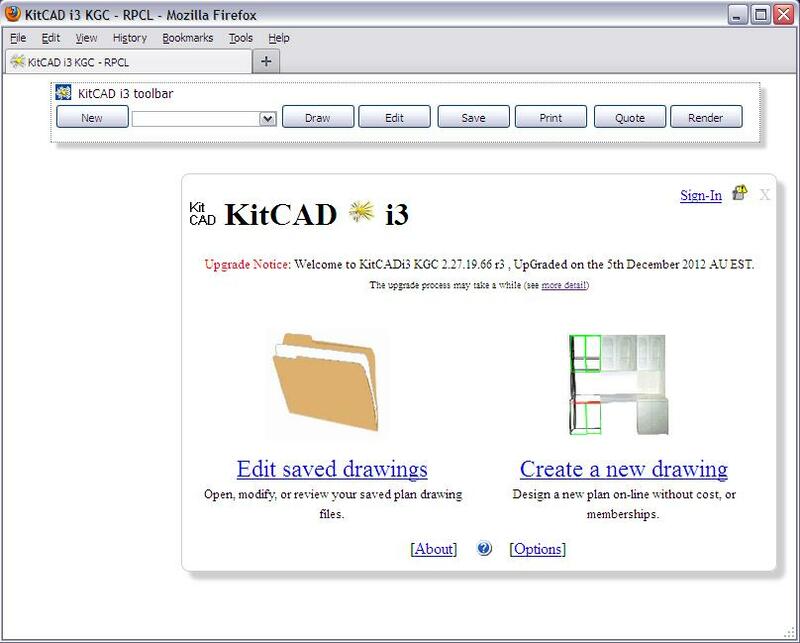 See KitCAD i3 KGC 2014 maintenance upgrade release notice for more information. Released KitCAD i3 KGC (localhost), KitCAD i3 KGC r3 (r30/r35) for XAMPP, KitCAD i3 KGC r5 for XAMPP (2014 Upgrade) on 18th May and again with minor changes on the 27 June of 2014 as KGC_RPCL_3-5_5-0_XAMPP_Upgrade_Setup_2014.exe. KitCAD i3 KGC release date of 17th May, 2014. Updated full installer to include the above update, see release notice for more information and download link. Previous upload of KGC_RPCL_5-0_XAMPP_Upgrade_Setup.exe (win32) must already be installed for this Upgrade to work correctly. This release of KitCAD i3 KGC r5 2014 update for XAMPP with X3DOM 1.6.0 and other updates requires that previous versions be installed – in required order; See KitCAD i3 KGC r5 download instructions for more information. 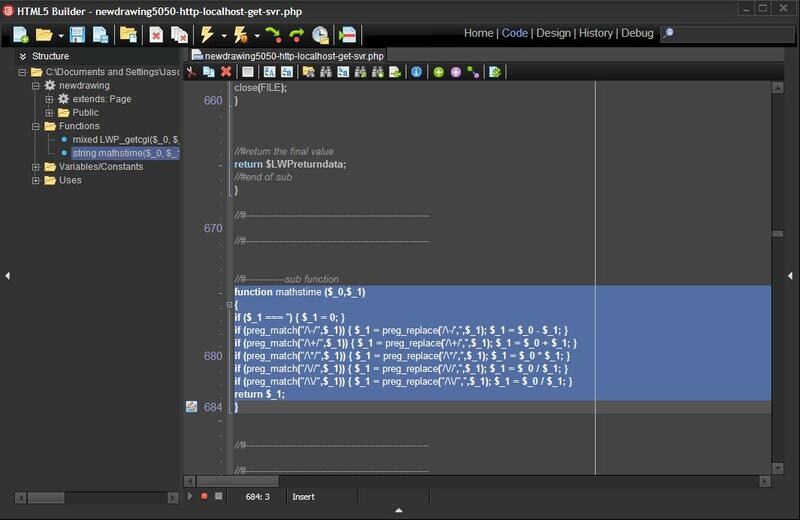 The RadPHP XE, and HTML5 Builder Source RPCL files of KitCAD i3 KGC are not updated. [DOWNLOAD LINK ][Instructions] This Inno Setup (v5) is for systems that have a version of XAMPP installed on the system at C:\XAMPP\ and will install all files for KitCAD i3 KGC r3 and KitCAD i3 KGC r5/r50 (localhost) with RPCL 5.0 support. This KGC_RPCL_3-5_5-0_XAMPP_Upgrade_Setup_2014* requires that both (in order) KGC_RPCL_3-5_XAMPP* and KGC_RPCL_5-0_XAMPP_Upgrade* be installed beforehand. The KGC_RPCL_3-5_5-0_XAMPP_Upgrade_Setup_2014* Zip/7z Archives allow advanced system administrators to manually update without using setup program; Because there are no CGI files to be configured the upgrade can also be used for other like linux apache webservers. This KGC_RPCL_3-5_5-0_XAMPP_Upgrade_Setup_2014* download requires that both (in order) KGC_RPCL_3-5_XAMPP* and KGC_RPCL_5-0_XAMPP_Upgrade* be installed beforehand: [Zip 3.0Meg][7z 2.4Meg]. Updated online version of r30/r35/r3/r5/r50 from X3DOM 1.6.0 to X3DOM 2.0.0-dev. See release notice for more information. Added Enhanced Keyboard support for KGC to be moved using the arrow keys for all online versions of r30/r35/r3/r5/r50. See release notice for more information. Uploaded KitCAD i3 KGC (localhost), KitCAD i3 KGC r3 (r30/r35) for XAMPP, KitCAD i3 KGC r5 for XAMPP (2014 Upgrade part 2) on the 20th, 25th July and again on the 27th July of 2014 as KGC_RPCL_3-5_5-0_XAMPP_Upgrade_Setup_2014_pt2.exe. 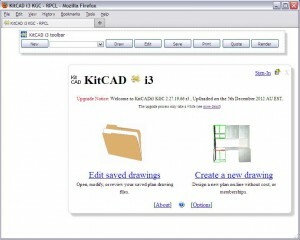 KitCAD i3 KGC release date of 27th July, 2014. This update is not included at this time within the full installer but is available as a update pack [Full Installer]. Previous upload of KGC_RPCL_3-5_5-0_XAMPP_Upgrade_Setup_2014.exe (win32) must already be installed for this Upgrade to work correctly. This release of KitCAD i3 KGC r5 2014 part 2 update for XAMPP includes X3DOM 1.6.1 and other feature updates which requires that previous versions be installed – in required order; See above for more information. [DOWNLOAD LINK ][Instructions] This Inno Setup (v5) is for systems that have a version of XAMPP installed on the system at C:\XAMPP\ and will install all files for KitCAD i3 KGC r3 and KitCAD i3 KGC r5/r50 (localhost) with RPCL 5.0 support. This KGC_RPCL_3-5_5-0_XAMPP_Upgrade_Setup_2014_pt2* requires that KGC_RPCL_3-5_5-0_XAMPP_Upgrade_Setup_2014* be installed beforehand. The KGC_RPCL_3-5_5-0_XAMPP_Upgrade_Setup_2014_pt2* Zip/7z Archives allow advanced system administrators to manually update without using setup program; Because there are no CGI files to be configured the upgrade can also be used for other like linux apache webservers. This KGC_RPCL_3-5_5-0_XAMPP_Upgrade_Setup_2014_pt2* download requires that KGC_RPCL_3-5_5-0_XAMPP_Upgrade_Setup_2014* be installed beforehand: [Zip 0.5Meg][7z 0.4Meg]. Uploaded KitCAD i3 KGC (localhost), KitCAD i3 KGC r3 (r30/r35) for XAMPP, KitCAD i3 KGC r5 for XAMPP (2014 Upgrade part 3) on the 21st December of 2014 as KitCADi3rX_XAMPP.exe within KitCAD i3 KGC rX for XAMPP upgrade : See Release notice for more information. 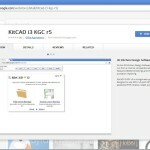 This update is not included within the KitCAD i3 KGC r5 for XAMPP full installer [Full Installer]. The KGC_RPCL_3-5_5-0_XAMPP_Upgrade_Setup_2014_pt3* Zip/7z Archives allow advanced system administrators to manually update without using setup program; Because there are no CGI files to be configured the upgrade can also be used for other like linux apache webservers. This KGC_RPCL_3-5_5-0_XAMPP_Upgrade_Setup_2014_pt3* download requires that KGC_RPCL_3-5_5-0_XAMPP_Upgrade_Setup_2014_pt2* be installed beforehand: [Zip 0.1Meg][7z 0.1Meg]. 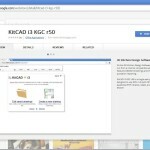 Uploaded KitCAD i3 KGC (localhost), KitCAD i3 KGC r5 for XAMPP (2015 Upgrade part 1) on the 1st March and again on the 14th June of 2015 as KitCADi3rX_XAMPP.exe within KitCAD i3 KGC rX for XAMPP upgrade : See Release notice for more information. The KGC_RPCL_3-5_5-0_XAMPP_Upgrade_Setup_2015_pt1* Zip/7z Archives allow advanced system administrators to manually update without using setup program; Because there are no CGI files to be configured the upgrade can also be used for other like linux apache webservers. This KGC_RPCL_3-5_5-0_XAMPP_Upgrade_Setup_2015_pt1* download requires that KGC_RPCL_3-5_5-0_XAMPP_Upgrade_Setup_2014_pt2* be installed beforehand: [Zip 0.5Meg][7z 0.5Meg]. The update dated 1st May 2016 is not included within the KitCAD i3 KGC r5 for XAMPP full installer [Full Installer]. Use the KitCADi3rX_XAMPP.exe setup within KitCAD i3 KGC rX for XAMPP upgrade : See Release notice for more information. The KGC_RPCL_3-5_5-0_XAMPP_Upgrade_Setup_2015_pt1* update above is not required because the same files are included within the The KGC_RPCL_3-5_5-0_XAMPP_Upgrade_Setup_2016_pt1* update below. The KGC_RPCL_3-5_5-0_XAMPP_Upgrade_Setup_2016_pt1* Zip/7z Archives allow advanced system administrators to manually update without using setup program; Because there are no CGI files to be configured the upgrade can also be used for other like linux apache webservers. This KGC_RPCL_3-5_5-0_XAMPP_Upgrade_Setup_2016_pt1* download requires that KGC_RPCL_3-5_5-0_XAMPP_Upgrade_Setup_2014_pt2* be installed beforehand: [Zip 0.5Meg][7z 0.5Meg]. The update dated 1st July 2016 is not included within the KitCAD i3 KGC r5 for XAMPP full installer [Full Installer]. Use the KitCADi3rX_XAMPP.exe setup within KitCAD i3 KGC rX for XAMPP upgrade (after 1st July 2016) : See Release notice for more information. The KGC_RPCL_3-5_5-0_XAMPP_Upgrade_Setup_2015_pt1* and KGC_RPCL_3-5_5-0_XAMPP_Upgrade_Setup_2016_pt1* updates above are not required because the same files are included within the The KGC_RPCL_3-5_5-0_XAMPP_Upgrade_Setup_2016_pt2* update below. The KGC_RPCL_3-5_5-0_XAMPP_Upgrade_Setup_2016_pt2* Zip/7z Archives allow advanced system administrators to manually update without using setup program; Because there are no CGI files to be configured the upgrade can also be used for other like linux apache webservers. This KGC_RPCL_3-5_5-0_XAMPP_Upgrade_Setup_2016_pt2* download requires that KGC_RPCL_3-5_5-0_XAMPP_Upgrade_Setup_2014_pt2* be installed beforehand: [Zip 0.5Meg][7z 0.5Meg]. The update dated 16th July 2016 is not included within the KitCAD i3 KGC r5 for XAMPP full installer [Full Installer]. Use the KitCADi3rX_XAMPP.exe setup within KitCAD i3 KGC rX for XAMPP upgrade (after 16th July 2016) : See Release notice for more information. 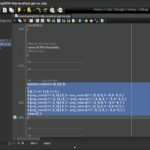 The KGC_RPCL_3-5_5-0_XAMPP_Upgrade_Setup_2015_pt1*, KGC_RPCL_3-5_5-0_XAMPP_Upgrade_Setup_2016_pt1* and KGC_RPCL_3-5_5-0_XAMPP_Upgrade_Setup_2016_pt2* updates above are not required because the same files are included within the The KGC_RPCL_3-5_5-0_XAMPP_Upgrade_Setup_2016_pt3* update below. The KGC_RPCL_3-5_5-0_XAMPP_Upgrade_Setup_2016_pt3* Zip/7z Archives allow advanced system administrators to manually update without using setup program; Because there are no CGI files to be configured the upgrade can also be used for other like linux apache webservers. This KGC_RPCL_3-5_5-0_XAMPP_Upgrade_Setup_2016_pt3* download requires that KGC_RPCL_3-5_5-0_XAMPP_Upgrade_Setup_2014_pt2* be installed beforehand: [Zip 0.5Meg][7z 0.5Meg]. The update dated 21st August 2016 is not included within the KitCAD i3 KGC r5 for XAMPP full installer [Full Installer]. Use the KitCADi3rX_XAMPP.exe setup within KitCAD i3 KGC rX for XAMPP upgrade (after 21 August 2016) : See Release notice for more information. The KGC_RPCL_3-5_5-0_XAMPP_Upgrade_Setup_2015_pt1*, KGC_RPCL_3-5_5-0_XAMPP_Upgrade_Setup_2016_pt1* and KGC_RPCL_3-5_5-0_XAMPP_Upgrade_Setup_2016_pt2* and KGC_RPCL_3-5_5-0_XAMPP_Upgrade_Setup_2016_pt3* updates above are not required because the same files are included within the The KGC_RPCL_3-5_5-0_XAMPP_Upgrade_Setup_2016_pt4* update below. The KGC_RPCL_3-5_5-0_XAMPP_Upgrade_Setup_2016_pt4* Zip/7z Archives allow advanced system administrators to manually update without using setup program; Because there are no CGI files to be configured the upgrade can also be used for other like linux apache webservers. This KGC_RPCL_3-5_5-0_XAMPP_Upgrade_Setup_2016_pt4* download requires that KGC_RPCL_3-5_5-0_XAMPP_Upgrade_Setup_2014_pt2* be installed beforehand: [Zip 0.5Meg][7z 0.5Meg]. The update dated 21st August 2016 is not included within the KitCAD i3 KGC r5 for XAMPP full installer [Full Installer]. Use the KitCADi3rX_XAMPP.exe setup within KitCAD i3 KGC rX for XAMPP upgrade (after 31 August 2017) : See Release notice for more information. KGC_RPCL_3-5_5-0_XAMPP_Upgrade_Setup_2016_pt4* updates above are not required because the same files are included within the The KGC_RPCL_3-5_5-0_XAMPP_Upgrade_Setup_2017_pt1* update below. The KGC_RPCL_3-5_5-0_XAMPP_Upgrade_Setup_2017_pt1* Zip/7z Archives allow advanced system administrators to manually update without using setup program; Because there are no CGI files to be configured the upgrade can also be used for other like linux apache webservers. This KGC_RPCL_3-5_5-0_XAMPP_Upgrade_Setup_2017_pt1* download requires that KGC_RPCL_3-5_5-0_XAMPP_Upgrade_Setup_2014_pt2* be installed beforehand: [Zip 0.5Meg][7z 0.5Meg]. Please make sure the command $xajax->processRequest() is placed before this. Re-enabled r5/r50 upon this server, maintenance notice, above; Tested and uploaded for further review the new and changed PHP file with Perl rewrites included (no more CURL commands as the KPD/json file is loaded-in by the PHP file using fopen/fget commands/loop). Imports from other servers are NO longer possible with the rewrite and all KPD/json files must be present upon the server otherwise an error may be returned (unknown). The r3/r30/r35 versions have been re-enabled. After testing and rewrites are completed, the changed NO CURL PHP solutions have also been uploaded for public downloading (see release notice for information and download links). Updated the archive file of KGC_RPCL_3-5_5-0_XAMPP_Upgrade_Setup_2017_pt1. * with library system *.json files that correct the errors/bugs (WC object items). See above for manual download link or use KitCAD i3 rX XAMPP setup to update installed files.